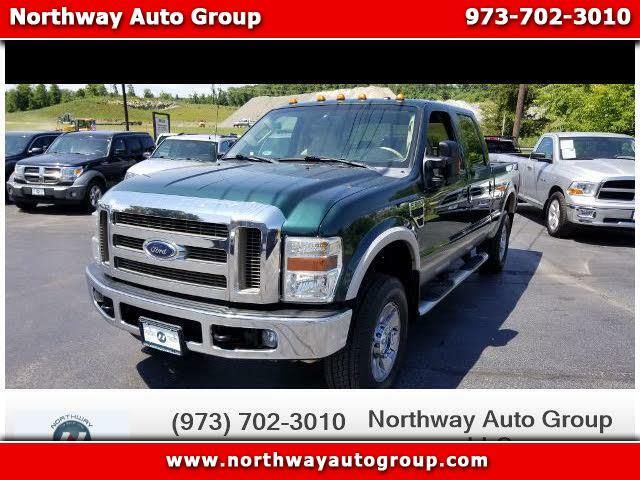 ** WHOLESALE PRICING ** WE FINANCE ** SAVE WITH NORTHWAY WHOLESALE PRICING ** Same Day Approvals ** We have financing options to help fit each customer's needs ** We take trades ** We guarantee NJ inspection ***** WHY BUY FROM NORTHWAY AUTO GROUP (1) We are a No-Hassle No-Haggle dealership! We price our cars below book values,? so there is no need to worry if you're getting the right deal. (2) Our salespeople are non-commissioned,? and trained to be more of a Buyer's Assistant than a typical sales person. (3) All our vehicles are Handpicked,? Inspected,? and Protected,? and They go through our pre purchase inspection process. (4) A Carfax vehicle history report is provided with each car. ***** Are you are looking to sell your car? Consider us your first option,? we'll buy your car! CALL OUR SALES STAFF AT 973.702.3010. For more pictures and info please visit our website at www.NORTHWAYAUTOGROUP.comAdditional InformationV8 5.4 Liter,?Automatic 5-Spd w/Overdrive,?4WD,?ABS (4-Wheel),?Anti-Theft System,?Keyless Entry,?Air Conditioning,?Power Sliding Rear Window,?Power Windows,?Power Door Locks,?Cruise Control,?Power Steering,?Tilt Wheel,?AM/FM Stereo,?Sirius Satellite,?SYNC,?Parking Sensors,?Dual Air Bags,?Heated Seats,?Dual Power Seats,?Leather,?Daytime Running Lights,?Fog Lights,?Custom Bumper,?Premium Wheels,?Running Boards,?Bed Liner,?Towing Pkg,?Backup Camera,?Sun Roof (Sliding),?4x4 Off-Road Pkg,?Traction Control,?Off-Road Pkg,?Premium Sound,?CD/MP3 (Multi Disc),?Ultimate Pkg,?Custom Paint,?Suspension Pkg,?